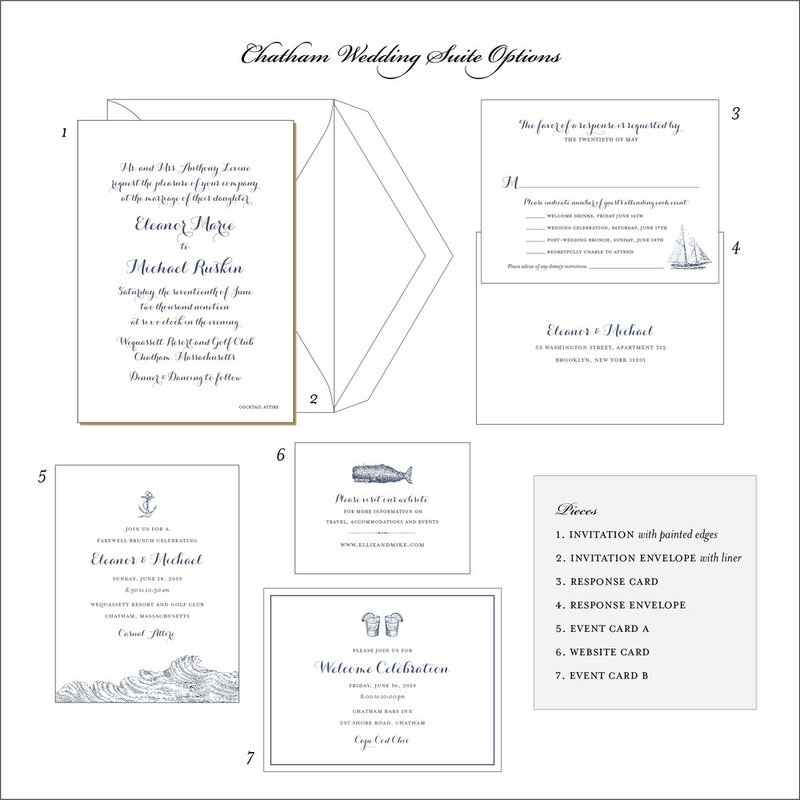 Chatham letterpress wedding invitations featuring beautiful script and nautical accents for a classic look. These Cape Cod inspired wedding invitations are the perfect mix of modern and vintage. The all script invitation card is elegant and clean, in navy ink. The farewell brunch card has some nautical accents, with an anchor and ocean wave. It adds a bit of fun to an otherwise traditional design. The light blue envelope liner features a vintage map of Cape Cod and Martha's Vineyard. We can customize this map liner for other regions as well. These letterpress invitations are printed on brilliant white paper for a beautiful contrast.